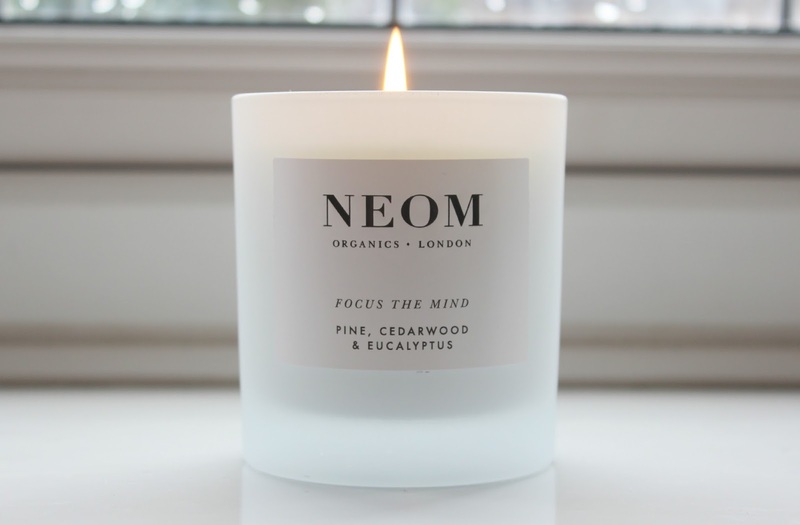 NEOM Focus the Mind* is a combination of Pine, Cedarwood and Eucalyptus, beautifully presented in frosted glass with a very simple yet chic label. A standard size home candle, it's a new size to join the NEOM range as part of a whole brand relaunch. With a burn time of up to 35 hours, the standard size candles cost £24 and are made with a complex blend of natural Vegetable Wax and high-quality, pure ingredients. Focus the Mind has a fragrance which does exactly that - instantly reviving, yet soothing at the same time. The perfect candle for pampering nights or relaxing with a good book. What's your favourite uplifting candle scent?